Welcome to your Colorado Resouce Center. Welcome to the Colorado Resource Center. 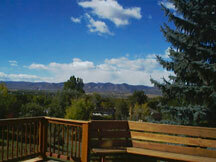 You will find Colorado is a wonderful place to live and raise a family. 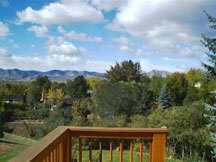 The Colorado Resource Center offers some of the basic information about the move to Colorado. I want to personally invite you to experience Colorado for yourself. Please call or email me for your housing needs. P.S When searching for the right home for your lifestyle, your are looking for more than just a new place to call home. You want a friendly neighborhood, easy commute to work, great schools, close stores, recreation facilities, and all the amenities to fully enjoy Colorado's wonderful climate. I am confident I will find all that for you! It is never easy to uproot and relocate. I do understand this "growing pain". As a consolation, you will find a huge assortment of housing options available. You will find everything from cosmopolitan lofts in the heart of the city to rustic, secluded mountain getaways. Your family will love your decision to come to Colorado! Enjoy the beautiful vistas, the challenging and wide open ski areas, and the rich cultural and outdoor playground. Denver's population is youthful, well educated and healthy. Unsurpassed only by Boston. After spending a little time in the city, you get a strong sense that this is a community on the move. World-class facilities, such as Denver International Airport, Pepsi Center, Coors Field, the new Broncos stadium - Invesco Field, Ocean Journey aquarium, Denver Performing Arts Center, Denver Art Museum, Denver Zoo, and an expanded convention center, all show a strong sense of civic commitment. Wherever you decide to live in this beautiful area, Elaine Ashby will acquaint you with the area and help you find the home you're looking for. Email Elaine or phone today. Keep dogs, cats and other pets on a leash and off trails and roadways. Never feed, touch, harass or hunt wild animals. You can hunt with the appropriate hunting license and the appropriate hunting season. Fish only if you have a valid Colorado state fishing license. Do not keep food in your tent, as it is an open invitation to wildlife. Get a camping permit if you are planning to stay overnight in the back country. Do not litter, pick wildflowers or plants. Camp only in designated areas. Avoid hitchhiking. Build fires only in picnic areas and campsites with grates. Never carry loaded firearms or open alcoholic beverages in a moving vehicle. Keep all vehicles, including bikes and snowmobiles, on roads or in designated parking areas. Enjoy Beautiful Colorado!